Model developed over 24 hour period, as opposed to only modelling the normal peak hours, to understand impacts of proposals across full working day. Large, complex VISSIM models were developed for both sites, incorporating the detailed internal workings of the entire factory over a 24 hour period. The surrounding highway network was also modelled to allow impacts of any proposed changes to be assessed for the wider network. 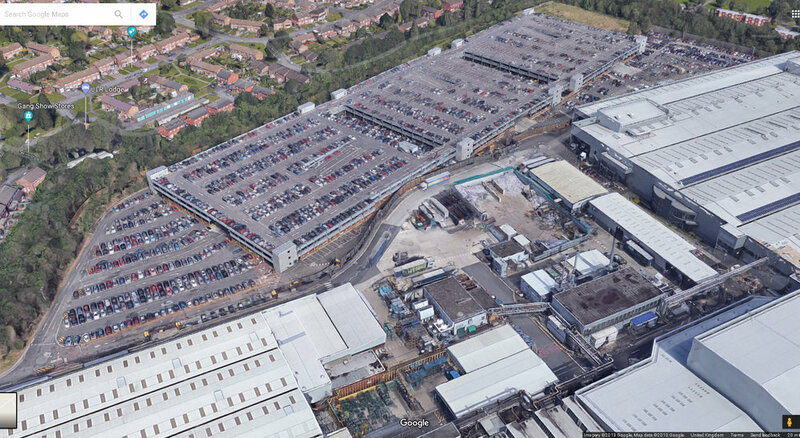 One of the Solihull models primary uses was to analyse and assess a proposed on-site employee multi-storey car park, considering both the effects within the site and on the local highway network. This project has now been completed onsite.